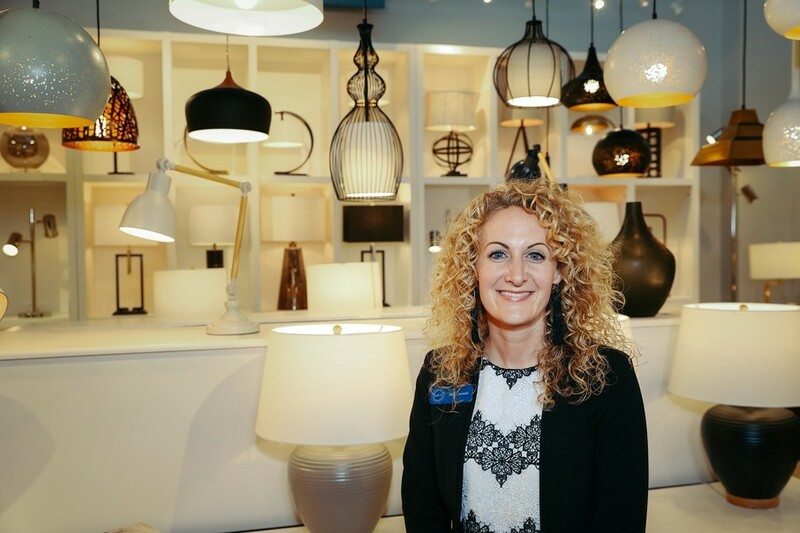 Surya is known for their rugs, but they’re also making waves here at High Point Market with their home lighting offerings. You may be familiar with Surya because they’ve been manufacturing and selling designer-grade rugs and other design accessories to the trade for the past 14 years. 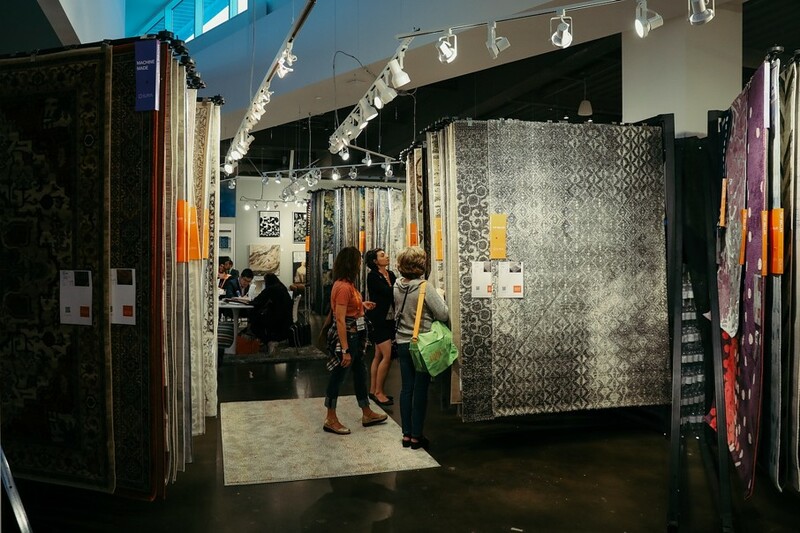 But here at the spring High Point Market industry trade show in High Point, North Carolina, where Surya maintains a regular showroom, they’re showing off more than just rugs. Because of their consistent and notable industry presence, as well as their on-trend design aesthetics, we knew this was a brand you, our audience, needed to know about. 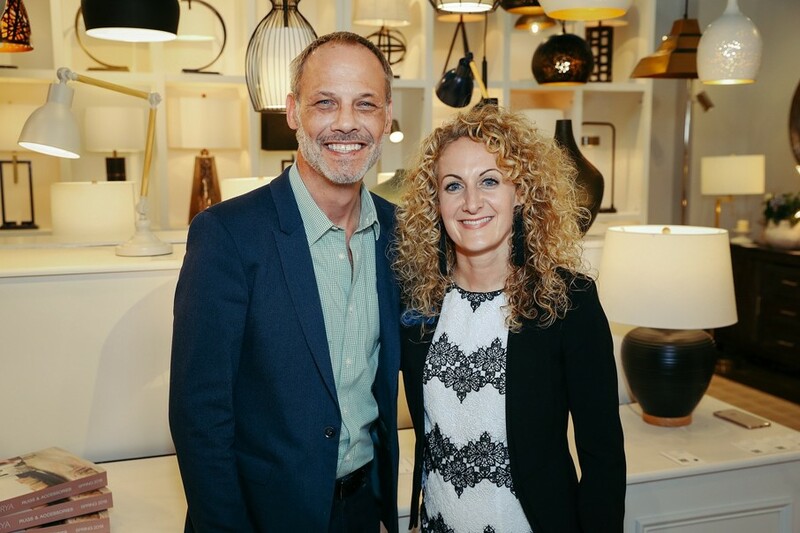 So, since he’s as passionate about trendy designs as we are, we asked interior and product designer Christopher Grubb to sit down with Jeni Canaan, vice president of Merchandising and Product Development at Surya. 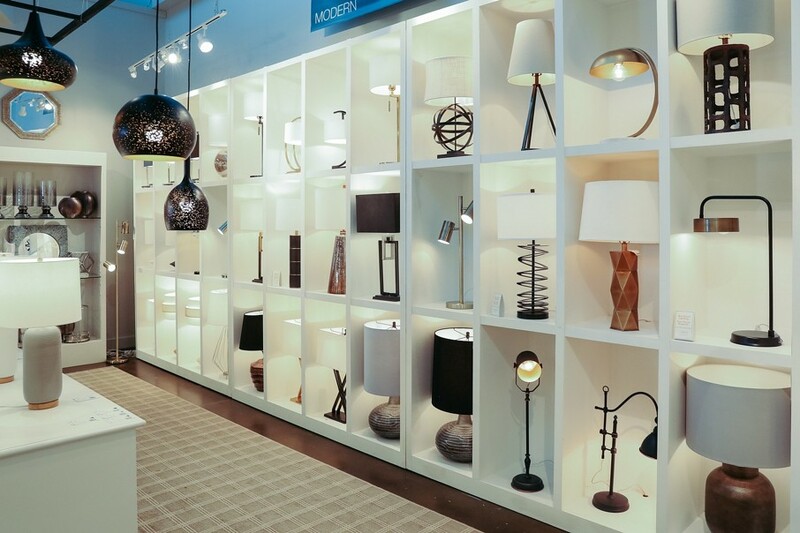 The company, now considered a one-stop-shop for all your home accessory needs, sells directly to the trade and has done so for over a decade. Although Surya started with a focus on rugs, they’re growing in all other categories, specifically lighting and home accessories. “We offer styles at every price point and lifestyle,” Jeni told Christopher. Here at Spring High Point Market, Surya is launching hundreds of new products. For the rug line, in particular, they’re presenting 35 brand new, on-trend introductions, split between machine-made and handmade designs. “Machine-made is a growing category for us because it provides styles and color at a fantastic price point,” says Jeni. However, that doesn’t mean that they’re phasing out handmade rugs. In fact, they plan to continue rolling out new handmade designs because it’s how the company got started and it’s important to their customers. Jeni explained to Christopher that one of the most important things for homeowners to consider when purchasing a rug is their expectations. 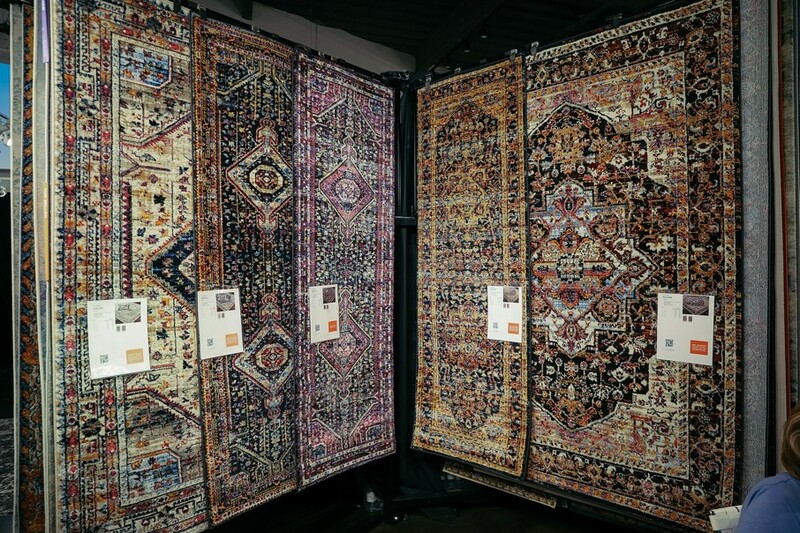 By asking questions like “How much wear and tear will it get?” and “How long do I want to keep it?” Jeni believes you can figure out the best rug for you. In the end, “It depends on the construction of the rug, the style you want, and the price-point you’re shopping at,” she said. We’re so glad to have gotten the chance to see Surya’s new lineup and learn more about this popular company. Thank you, Jeni and Christopher, for letting us in on this convo. While you’re waiting for our video coverage (where you can see some of the new items), visit Surya’s website, where you can preview their full assortment.